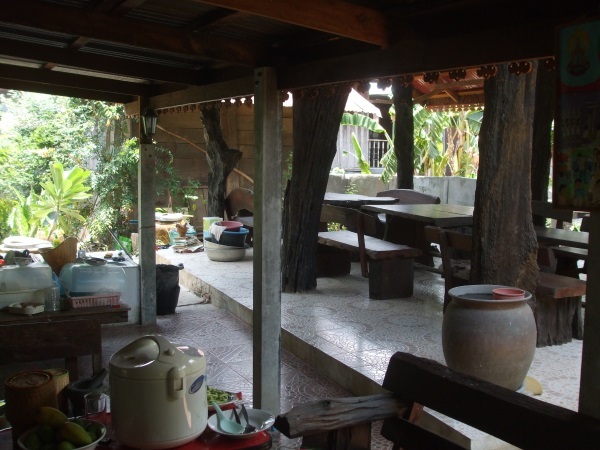 On arrival in Phana, on the Monkey Project, being a volunteer I was placed in a homestay, as the study center houses the students who are researching for further education. 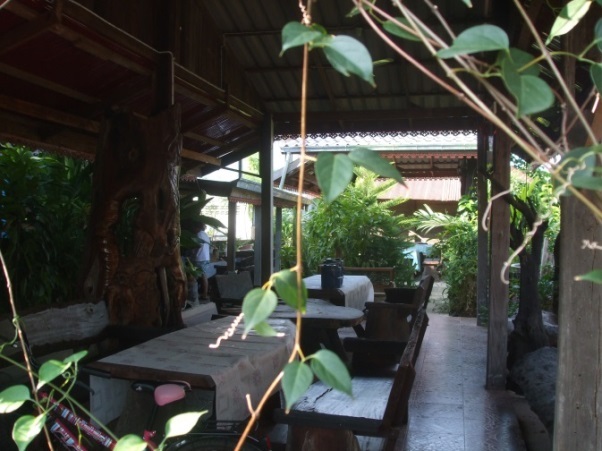 I was placed in the care of Kalyanee, a lady who takes her role as ¨HouseMother¨ extremely seriously, and welcomes her guests as though they are long lost family. She was a school teacher and psychologist in the main city of Ubon, but was born, raised and educated locally in Phana. 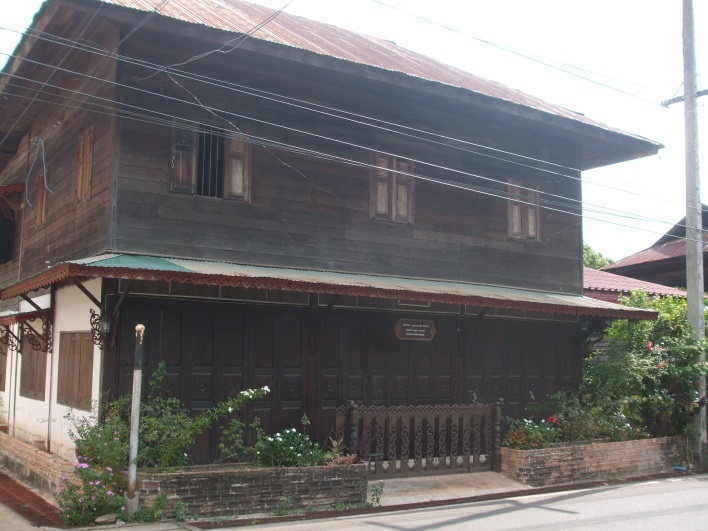 The house in which I stayed is a 60 year old family home, built by Kalyanee’s parents, in the local style, using teak wood. 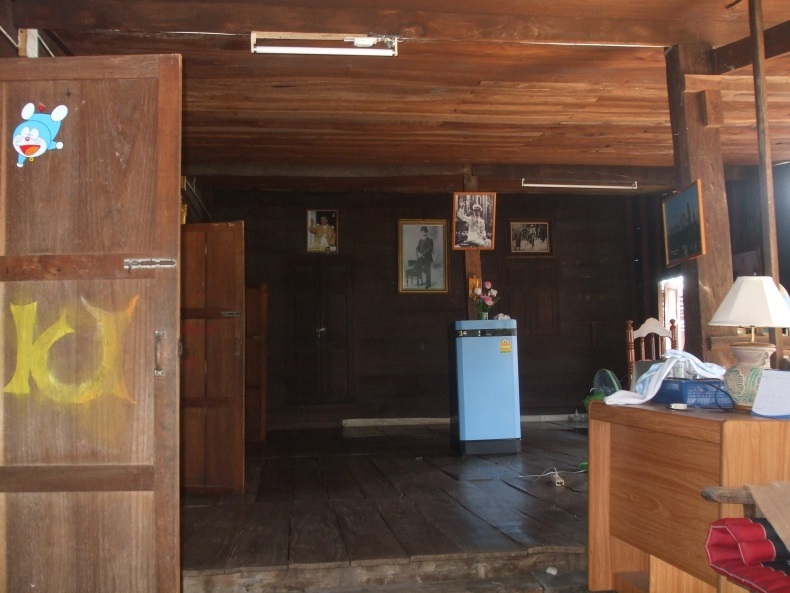 The bottom floor contains a specially, purpose built bathroom, which consists of a shower (hot/cold) a Western style toilet and a water tank with scoop (Thai style shower) which is the most refreshing. Towels, along with bedding, are provided. 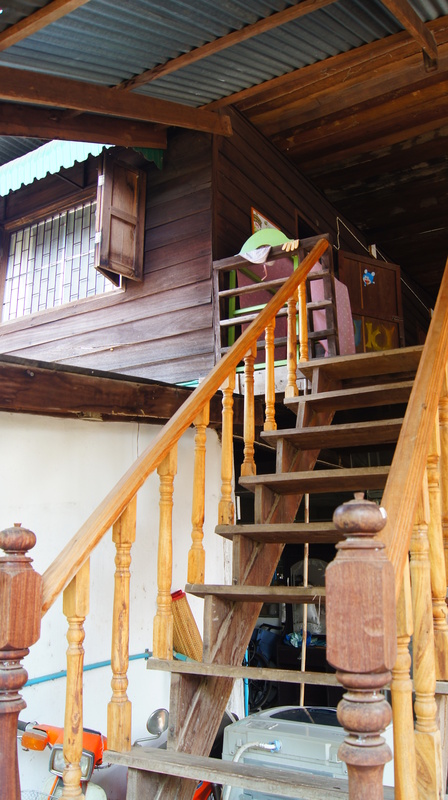 Upstairs are 2 bedrooms, one with a single bed and one with a double, both have fans, hanging rails and cupboards. There is also a very pleasant sitting area, with a fridge for us to keep drinks/snacks in. 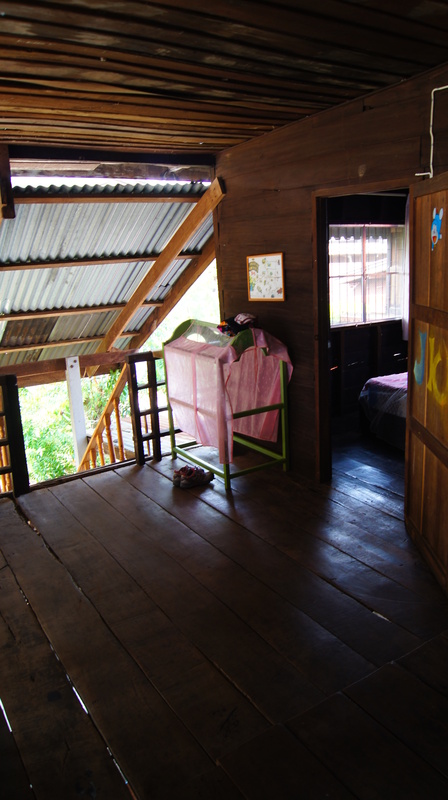 The bedrooms are spotlessly clean, and have mosquito netting on the doors and windows, although the little critters do get in if the door is left open, even for the slightest moment, but mosquito spray is available in the Pharmacy for about 30 baht. The local community, mainly consisting of farmers, do get up very early (usually around 5.00 am, and it can get quite noisy around this hour, so if you are a light sleeper, earplugs are a good idea, although, without them, I did get used to the early morning news bulletin, from a loud speaker on a nearby lampost, the giving alms to the monks, the general chit-chat between neighbors, etc.